Very few teams that are contending in 2017 and have contended in the past 3 seasons boast top rated MiLB systems. The Indians are one of the teams that do not. And that is no knock on their scouting or front office. The Indians have done a phenomenal job developing young players and plugging them into their lineup. 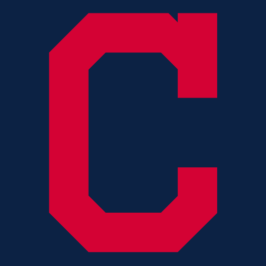 Guys like Kipnis, Santana, Lindor, Kluber, Allen, Zimmer, Ramirez, Salazar, and Brantley all came from the Indians minor league systems. Due to promotions of the elite talent, drafting late and losing first rounders to free agent signings, the Indians find themselves with one of the more barren minors systems. There are, however, some crown jewels to be found, 2 top 100 guys, and a ton of pitchers that will help the Indians contend for a few more seasons. Here is a look at the midseason Top 50. Before we dive in, players are ranked according to tiers listed below. McKenzie shoots to the Top of the Indians organizational rankings and up to 19th in my Top 150 prospects after a stellar first half. McKenzie projects to have 3+ pitches ranked 60 out of 80 with 60 command. As a teenager in High A, McKenzie has dominated older competition, striking out 11.24 batters per 9. Mejia is the top ranked prospect in the Indians by most sources. He was #1 on our preseason Indians Top 50 prospects. I ranked him 2 because I am that high on McKenzie but really these guys are 1A and 1B when it comes to talent. I have Mejia at 21st in my Top 150 and he has done nothing to disappoint this season. Mejia’s profile comes with a 70 arm and a future 70 hit tool. He has emerging power that should blossom as he matures and fills out. He has matched his 2016 HR total of 11 already in AA. As a hitter, I love his ability to put the bat on the ball posting a 12.5% K rate with a .207 ISO. I would like to see him walk a little more as he advances through the system. Jones, the 2016 2nd round pick, struggled in his pro debut in 2016 but showed enough signs of advanced maturity with a 17.6% BB rate that the Indians sent the 19 year old to Low A instead of Rookie Ball for his 2nd pro season. He hasn’t disappointed improving his K % to 21.5% while maintaining an excellent 16.5% BB rate. He has also posted a respectable 135 wRC+ and a .392 OBP. While the power has yet to arrive, Jones projects as a future 50 game power and 60 raw power with a 55 hit tool. His BB rate suggests that he has a plan at the plate and knows how to work the count. As he matures, he should be a mainstay in the Indians top 3 prospects. Bradley’s biggest tool is his power, graded at 60 raw power and a future 60 for game power. He has slugged 18 HR for AA Akron while reducing his K% from 29.7 in 2016 to 23.1 in 17. While neither number is particularly good, Bradley is at least trending in the right direction. He will remain limited by his inability to play anywhere other than 1B/DH and could be a platoon candidate as evidenced by his .534 OPS against lefties. Cheng has a unique power-speed profile at SS that makes him an intriguing prospect. Like Bradley, he lacks sufficient ability to make consistent contact to be a top 100 prospect but when he does barrell balls, he does so with a purpose. He has a .244 ISO with a career high 19 HR and 10 SB. His K rate has risen from 23.1% to 26.7% and his .221 batting average is likely due less to his increased K rate and more to his career low .258 BABIP. With Lindor manning SS for the foreseeable future, Chang could be an intriguing trade piece to bolster the MLB lineup or could be in line for a position change to 3B. His 20 errors suggest a probable position change anyways. Castro has slashed .289/.337/.422 in High A, partly due to a .346 BABIP. While the average may be a bit of anomaly and not part of his overall game, like Chang, he has the ability to barrell the ball and do damage. His 10 HR are a new career high and his 17 SB paces him for another 20 SB season. Like most young hitters, Castro is impatient and likes to swing the bat which could lead to prolonged slumps against better pitching. He has walked in 5.6% of his ABs while striking out 18.7 %. More importantly, he has shown the ability to get better as he matures. Bieber has a durable build and has shown the ability to command 3 pitches. While scouts seem bullish on his stuff, his elite command has allowed him to excel at 3 stops this year. Currently in AA, Bieber has combined to throw 160.1 IP while only walking 9. He will scatter hits but so far has shown an ability to keep the ball in the yard. He should move fast through the Indians system and provide end of the rotation depth while eating innings. Civale’s bread and butter is his control. In 157.2 IP between A/A+, Civale has walked 14 hitters. His fastball is average at best but he features a 60 grade slider and keeps the ball low in the zone, inducing a 50% GB rate. If he can continue to pound the zone and keep the ball low, Civale can crack the back end of a MLB rotation and be an effective starter. Capel has flashed his power this season, slugging 22 HR in A ball. He has a long left handed swing that is succeptible to offspeed pitches, striking out 101 times in 112 games. His BB rate is improving and he sports an impressive .233 ISO. If he can keep the swing short and increase his fly ball rate, the power numbers could improve as well as his .250 batting average. Capel has been on a tear in August, posting a 1.016 OPS with 6 HR. Allen excelled in 2016 slashing .295/.416/.413 between A+/AA but injuries have derailed his season. After missing nearly 2 months, Allen is back in AA trying to regain his form. While he’ll probably never hit for a lot of power, Allen will need to get back to being an OBP machine in order to climb the rankings. He has stolen 23 bases in only 72 games and remains one of the best defensive CF in the game. Call me crazy and some of you will, but how can I rank an unproven 16 year old this high? I’ll let Ben Badler of Baseball America do the work for me. Valera is this high partly because Badler’s assessment and mainly because from here on, we will profile a lot of back of the rotation, middle reliever, utility guys and underperformers with ridiculously high K rates. By the way, Badler had me at Juan Soto. Benson, the 14th pick in the the 2016 draft, is the best athlete in the Indians system and one of the better overall athletes in the minors. He rates a 70 raw power with 55 speed and a 60 arm from the OF. His long swing makes him susceptible to strikeouts, posting a 35% K rate in 17 and 32% in 16. One encouraging note as Benson adjusts to pro ball as a teenager is his 12% BB rate over 2 years. Of all the players in the system, he has the best chance to rise through the rankings if he can keep his swing short to the ball and let his overall strength work in his favor. This is the type of guy that can shorten his swing and lose none of his power. He may be the most intriguing player to follow because if he can make the sort of adjustments that Aaron Judge made this past offseason, no ballpark will hold him. However, if the swing stays long, I expect his average and OBP to remain sub par with flashes of premium power. Freeman was the Tribe’s CBB pick in 2017 and has shown a good ability to adjust to pro pitching in a small sample size in the Arizona League. He has hit .316 with 11 XBH in 114 at bats. He fits the profile of other aggressive Indians hitters that would rather swing the bat than work the count. Despite just the 1 BB, Freeman has shown signs of being a mature hitter with 65% of his batted balls going to center/right. The whole field approach will serve him well as he continues to grow and fill out. The Indians lost their first round pick in 2017 when they signed Edwin Encarnacion. With their first pick, the 55th overall, they took Holmes. Holmes has one elite tool which gives him the ability to affect games and have a long MLB career. That tool is 80 grade speed. So far in his pro-debut, he has been overmatched at the plate with a sub .200 average and a .236 OBP. Much more concerning is his 54 strikeouts to 7 BB. I try not to put too much stock in an 18 year old’s first exposure to pro ball but the inability to barrell balls and draw walks is a bit concerning and could negate his 80 speed. Merryweather has seen his stock soar in 2017 after posting solid numbers in AA Akron and earning a promotion to AAA. Merryweather has the ability to generate strikeouts and groundballs but neither at an elite level. Like Civale and Beiber, he relies on controlling the zone and mixing his pitches to keep hitters off balance. At first glance, his AAA numbers look a bit ugly, but he has still induced a similar GB % to his AA success with the one glaring difference being a BABIP 100 points higher suggesting a little bit of bad luck in such small sample size. Longo is a guy that I haven’t seen on any prospect list and the 14th round pick in 2016 has done nothing but hit since signing last summer. He is slashing .365/.429/.538 with an elite 14.6% K rate. In an organization with so many swing and miss players, Longo is a breath of fresh air. While he may not project out to be a power hitter, he displays gap power with a good ability to get his pitch and drive it. Morimando is a durable lefty that projects to be a swing starter or bullpen lefty. He has some good tools but lacks an out pitch, relying on inducing weak contact. He will give up his fair share of hits but his track record suggests an ability to scatter hits as opposed to give up the hits in bunches. He will have to keep the ball in the park to truly be an effective end of the rotation starter. Haase is a bit of late bloomer at the age of 24 and repeating AA. Always known as a power guy, Haase has benefited from an improving walk rate and tweaks to his powerful swing to increase his launch angle. While he will never be a high average or OBP guy, he has emerged as a guy that can steal some at bats at 1B and DH if he continues to show improved patience and ability to hit around .250-.260 against elite pitching. He reminds me of Justin Bour. Completely under the radar player that has emerged as an everyday MLB player that can do some damage with the long ball. Continuing the run of teenage outfielders, Gonzalez hit the radar of prospect hounds in 2016 posting a .262 ISO, 148 wRC+, and slashing .303/.342/.566 in 40 games at the Rookie level. Promoted to Low A, Gonzalez has reduced his K rate from 36% to 24% but seen his power all but disappear, slugging .372. Gonzalez is an aggressive hitter that likes to swing the bat. The 2016 power spike may be deceiving and I’m not sure what type of hitter he will be. He is pulling the ball less than in 2016 and his GB/FB rate is similar to last season. He is hitting more to the opposite field showing maturity not often found in teenagers. With that being said, Gonzalez is still hitting .275 so the tools to adjust to more experienced pitching appear to be there. He is definitely a young guy to keep an eye on. Clement, the 2017 4th rounder, is a strong contact hitter that offers very little in the way of power. He has struck out only 11 times in his first 146 AB’s as a pro. He profiles as a utility guy that will put together good at bats and offer average speed on the base paths. Mejia’s stock has taken a hit in 2017 as he has struggled to replicate his numbers from the lower levels of the minors. Going into 2017, Mejia had hit over .300 in each of his first 3 pro seasons but has dipped to .223/.281/.259 in 40 games in A ball. Injuries have sidetracked this season limiting him to the low total of games played and he has a chance to finish strong during the last month of the season. He has a future 50 hit tool to go with 80 speed. If he can get back on track and start increasing his BB rate, he will be a force on the basepaths. No matter what Merritt does in his career, he has etched his name into the heart’s of all Indians’ fans after his playoff performance in 2016. He has followed that up with a solid season at AAA posting a 3.00 ERA and 89 K’s in 123 IP. Merritt doesn’t have one elite out pitch in his arsenal and relies on mixing his pitches and limiting base runners. Like other Indians’ pitchers listed, his excellent command makes up for his lack of stuff. Merritt has a good shot to secure an end of the rotation spot in 2018 and if he can limit the HR ball (19 this season) he can be effective. Loopstok came into the season with 12 career HR in 4 seasons as a backup player. Finally receiving a chance to start, Loopstok has made the most of it, slugging 17 HR while slashing .255/.348/.470. He also put a show on in the Carolina League HR Derby crushing 30 bombs before finishing runner up to Jake Gatewood. Power hitting catchers tend to find roles on MLB teams. Tom is an intriguing prospect on a loaded Lynchburg team. He is one of the few dual threat players posting 10 HR and 23 SB. Tom’s power should develop as he continues to mature. In addition to his 10 HR, besting his career total of 4, he has also added 30 doubles and 5 triples with a .160 ISO. His .300 BABIP suggest that he has hit into a bit of bad luck, especially considering his 25% line drive rate. Morgan, the team’s 8th round selection in the 2017 draft out of Gonzaga has dominated pro ball since making his debut this summer. Morgan has struck out 49 hitters in 28.1 IP with only 7 BB, posting an impressive 0.64 ERA. Morgan, only 5’10, commands the zone and mixes his pitches well. He has a plus plus changeup to go along with an 88-91 FB that sinks. The former 1st round pick in 2013 and Baseball America Top 100 prospect has seen his organizational ranking plummet due to injuries and a low K rate. Acquired for Brandon Moss at the 2015 trade deadline from St. Louis, Kaminsky posted solid numbers in 2016 at AA. Arm injuries have limited him to just one appearance and 5 IP in 2017. Don’s son, a switch hitting SS, boast an excellent baseball IQ and a projectable 6’3 195 lb frame. He has shown good pop in his first full season, hitting 11 HR, most from the left side. Wakamatsu has the defensive tools to stick at SS and should continue to add in game power to his profile as he grows. Papi has shown a good ability to work counts and take his walks. In 2017, Papi posted a career best .267 average at AA Akron before his promotion to AAA. He has continued to show signs of power as well with 11 HR following a career high 15 in 2016. Papi profiles as a 4th OF who has the ability to get on base and provide some pop off the bench. Plutko splashed onto the prospect radar in 2016 with a combined 130 K in 160 IP between AA/AAA. 2017 hasn’t been so kind. While Plutko has made his MLB debut in 2017, he has struggled mightily in AAA posting a 6.14 ERA in 129 IP. Plutko has been hit hard as well to the tune of a .295 AVG against. Between the numbers, Plutko has still been bad. 6.77 K/9, 3.63 BB/9, 4.85 xFIP. Krieger had an impressive debut in pro ball in 2016 hitting .299 between Lake County and Lynchburg but has struggled against the advanced pitching of the Eastern League. The switch hitting infielder has hit only .227 and is drawing fewer walks leading to a paltry .303 OBP. Krieger is a gap hitter with above average speed but doesn’t project to grow into a double digit HR threat. Much like the other hitters mentioned, Krieger will have to improve his contact rate in order to advance through the system. He currently has 39 BB to 101 K in 112 games. Cantu has had a solid season slashing .256/.324/.364 in Low A with 4 HR in 195 plate appearances. Numbers that were much better before a .155/.296/.172 August. His average benefits from a .351 BABIP and his 28% K rate fits the theme of the Indians hitters. Low walk rates, high K rates and intriguing raw power. He lacks speed and is limited defensively which could make it tough for him to crack the MLB lineup in a few years. The former number one overall pick in the draft and 2x 1st rounder has really struggled coming back from Tommy John. Aiken has logged 121 IP and remained healthy throughout 2017. That’s the good news. The bad news: Aiken has posted a 0.84 K/BB rate, 6.84 BB/9 and a 5.53 xFIP. What is even more concerning though is the drop in velocity. When the Astros made Aiken the top pick in the draft, he was throwing 96-97 mph. This season has seen Aiken’s FB sit at 90-92. He is still young and he is still raw and if anything can be said that would give Indians fans hope, it’s that in Aiken’s 25 starts, he has given up 2 ER of fewer in 16 of them. When he has been bad, he’s been really bad and when he has been good, he has still struggled with walks, limiting his effectiveness and ability to pitch deep into games. The Indians selected Hillman in the 2nd rd. of the 2015 draft. Entering his 3rd pro season, Hillman has seen his ERA rise each year from 4.13 to 4.43 to 5.83. At only 20, the lefty is one of the younger players in the Midwest League, and has struggled to command the zone. He relies on keeping hitters off balance with a changeup that scouts have rated as a future grade 60. Like Aiken, Hillman is young enough to get back on track and could shoot up the organizational rankings if he can improve his 2.16 K/BB rate. Siri, a relief pitcher, makes this list for one reason. A 14.56 K/9 in 38 innings out of the Lake County bullpen. Siri has been nearly unhittable posting a .184 Avg. against but has struggled with his command. Throughout his young career, Siri has walked 55 hitters in 103.1 IP. However, if he can harnass his premium stuff and limit the free passes, he could be a major piece in the back end of the Indians bullpen. Much like Loopstok, Chu has come out of nowhere and has increased his stock with a .262/.332/.414 slash line with 15 HR and 21 doubles. That is excellent production from the catcher position. Coming into 2017, Chu had just hit 7 HR and it remains to be seen if the power will translate against advanced pitching. Gonzalez, soon to turn 26, has spent an extended time on the MLB roster in 2017 as a utility player. He is the definition of Tier 4 as his tools are enough to keep him as a viable utility option but nothing more. Gonzalez is versatile and has good speed but offers very little at the plate. In 81 at bats for the Indians, he has recorded just one BB to go with 29 K.
Rodriguez is a bit old to be taken seriously as a true prospect, but in his second season at AAA Columbus, he has been one of the better hitters in the lineup. He is slashing .296/.328/.473 with 17 HR and 12 SB. His BB rate and K rate are similar to 2016 despite improving his average 40 points and increasing his HR total by 7. Mathias, much like Kaminsky, has endured a frustrating 2017 season, limited by a shoulder injury. While Mathias doesn’t have great in game power, he did amass 40 doubles in 2016. When healthy, Mathias uses the whole field and boasts a strong eye and ability to go deep into counts. He will need to hit consistently to develop into a MLB regular. Ice has shown a little bit of pop this year with 10 HR but his inability to make consistent contact has hurt his average. His .354 slugging percentage leaves a lot to be desired and implies that while Ice can hit mistakes out of the park, he lacks the ability to consistently drive the ball. Still, switch hitting catchers can be hot commodities. Vasquez has shown good poise for a young pitcher, dominating at Mahoning Valley in Short Season A ball, posting a 1.98 ERA and 0.97 WHIP. The RH has a 6’1 lanky frame and has excelled at generating groundballs, inducing 41% GB and 45% of batted balls pulled. While his WHIP and avg. against are low, Vasquez’s best work has come with runners on base, stranding a whopping 86%. As Vasquez progresses through the system, it will be interesting to see how advanced hitters approach him and the adjustments he will have to make. The Indians signed Bracho out of Venezuela at the July 2, 2017 deadline, giving the switch hitter a $1.5 million signing bonus. Scouts believe he will end up at 2B before all is said and done and grade his hit tool and power at average to above average. Bracho’s power is described as gap power at this point. The Indians selected Karinchak with their 9th round pick in the 2017 draft. The college arm out of Bryant has a plus fastball that sits in the low 90’s but can hit 96 if he needs to. Karinchak also posses a good 12 to 6 curve. He will need to refine his changeup to be an effective SP option and improve his control. So far, he has walked 9 hitters in just 21.2 IP at Mahoning Valley. Stamets has added in game power to his profile in 2017, doubling his previous career high in HR of 7 with 15 HR. His 25 doubles and .810 OPS make him an intriguing prospect. At 25, Stamets can hardly be considered a prospect, but power production from a SS is a commodity that a lot of teams do not possess. Paulino is another hitter in the organization that saw a modicum of success at the plate in A ball that has struggled in AA. After hitting .297 with 23 XBH in 64 games, Paulino has struggled in 2017. He is slashing .238/.330/.339 with 17 XBH in 86 games. Gonzalez was signed for $250K at the July 2, 2016 deadline. He has a compact swing from the right side and has shown an ability to consistently barrel the ball. While I don’t put much stock in stats in the Dominican Summer League, Gonzalez, has posted a .371 OBP with 31 BB to 28K and 13 SB. Rodriguez has big time power and big time swing and miss that makes him a risky player. Since his first full season in 2014, he has slugged 20+ HR each season. In the lower levels of the minors, Rodriguez was able to overcome the K’s and post respectable averages and OBPs. However, 2017, has been a different story. Rodriguez has struck out 170 times in 354 at bats in AAA. His .598 OPS and .265 OBP are last in the International League. Tapia has hit a career high 26 HR in 2017 at Lake County. That’s the good news. The bad news is that he has struck out 169 times in 426 at bats. Much like Rodriguez, the swing and miss will hold Tapia back from progressing through the system. Tapia will need to shorten his swing and sacrifice some power, which he has enough to spare, to compete against advanced pitching. Rodriguez has posted a solid .284/.325/.500 line with 12 HR and 21 doubles for Akron. Rodriguez has moved slowly through the system and profiles as a 4th OF. He has above average speed and like most of the hitters in the system, is limited by strike outs and low BB totals. Mejia is a high octane RP that has punched out 42 hitters in 30.2 IP while converting 8 saves in just as many opportunities. The K rate is up from his previous 3 seasons in the Dominican Summer League so it is worth keeping an eye on if he can sustain his 2017 success over the course of a full season. All things considered, the Indians still have a formidable system with a lot of usable pieces. McKenzie and Mejia lead the pack and look to be legit all stars at their positions. Cleveland has a lot of swing and miss guys on the offensive side that have struggled with promotions to AA/AAA after successful 2016 campaigns. On the mound, Beiber, Civale, and Morgan are 3 guys that know how to pitch and command the strike zone as well any prospect in the game.